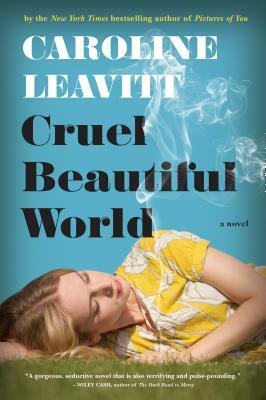 Cruel Beautiful World transports readers to 1969 when the atmosphere of peace and love is being upended by the Viet Nam War and Kent State. That year 16 year old Lucy disappears into the Pennsylvania countryside with a much older, charismatic man, leaving her older sister Charlotte behind to pick up the pieces. Charlotte, irrevocably changed by Lucy’s absence, feels compelled to discover the truth about her disappearance. This lush, compelling coming- of-age novel is a moving story about the complications of familial love and obligation. Caroline Leavitt is the award-winning author of eleven novels, including the New York Times bestsellers Pictures of You and Is This Tomorrow. Her essays and stories have been included in New York magazine, Psychology Today, More, Parenting, Redbook, and Salon. She’s a book critic for People, the Boston Globe, and the San Francisco Chronicle, and she teaches writing online at Stanford and UCLA.